It may seem that the functional pick-up truck has changed little over the years, but to believe this would be a mistake. With numerous alterations already under its belt, here is a look at what the next five years might hold for this vehicular workhorse. Slowly but surely, this ubiquitous vehicle has been changed, modified and made more luxurious. 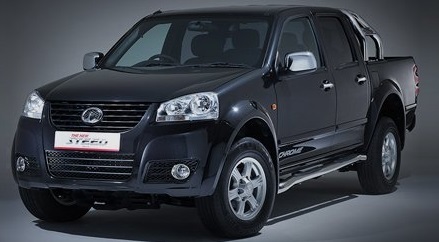 A good example of some of the recent innovations introduced into the market can be found in Great Wall pickup trucks. These trucks combine a rugged and hardwearing chassis with a comfortable cabin that is both roomy and contains many of the features found in contemporary saloon cars. From heated leather seats to Bluetooth connectivity or MP3 compatibility, features like this will surely characterise the next five years of the car’s development. The pick-up truck is designed to carry heavy loads, but many manufacturers are expected to introduce stronger covers that will surround the main storage space, keeping your tools and other items safer. There is also a range of innovative features being introduced to ensure minimum damage to the vehicle (and its passengers) in the event of an accident. In this budget-conscious century it’s even more important to keep an eye on fuel economy and the latest truck innovations are expected to make use of hybrid fuels. Hybrid or electric vehicles (EVs) have already proven their worth to the domestic car market and it seems only natural that their influence will extend to this sector of the automotive industry as time progresses. It looks as if the pick-up truck is constantly evolving as manufacturers listen to the needs of their consumers. It’ll be interesting to keep track of any future innovations over the next five years and see exactly how many of these predictions come to fruition.